McWane's Health and Safety program, which goes beyond OSHA requirements, is based on the principles of OSHA's Voluntary Protection Program of management commitment, employee involvement, hazard recognition and safety and health training. Our employees strive daily to take personal safety responsibility not only for themselves but for their co-workers. At McWane, we do it safely, or not at all! At McWane, we are committed to achieving the highest standards for health and safety in each of our facilities through the use of innovative programs that meet or exceed federal and state regulations. The EHS management system, coupled with the McWane Way philosophy of “Do it Safely, or Not at All,” provides the directional emphasis for a culture of safety excellence at each of our facilities. Despite the demanding environment of a foundry, which presents unique safety and environmental challenges, McWane is determined to provide its team members a safe, environmentally compliant workplace. This is done with the assistance of our professional safety and health personnel, internal and external third-party safety audits, management commitment and team member engagement, metrics that focus not on trailing injury rates but on proactive leading indicators, and through cooperative partnerships and meetings with federal, state and local regulatory agencies. An example includes assisting the Occupational Health and Safety Administration (OSHA) with development of ergonomic guidelines for the foundry industry. 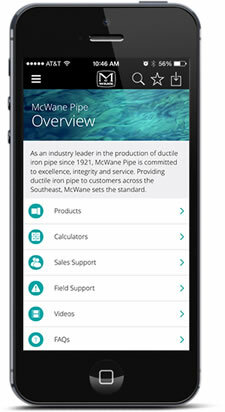 Additionally, McWane routinely makes capital improvements in safety and environmental projects, spending significantly more than industry averages.